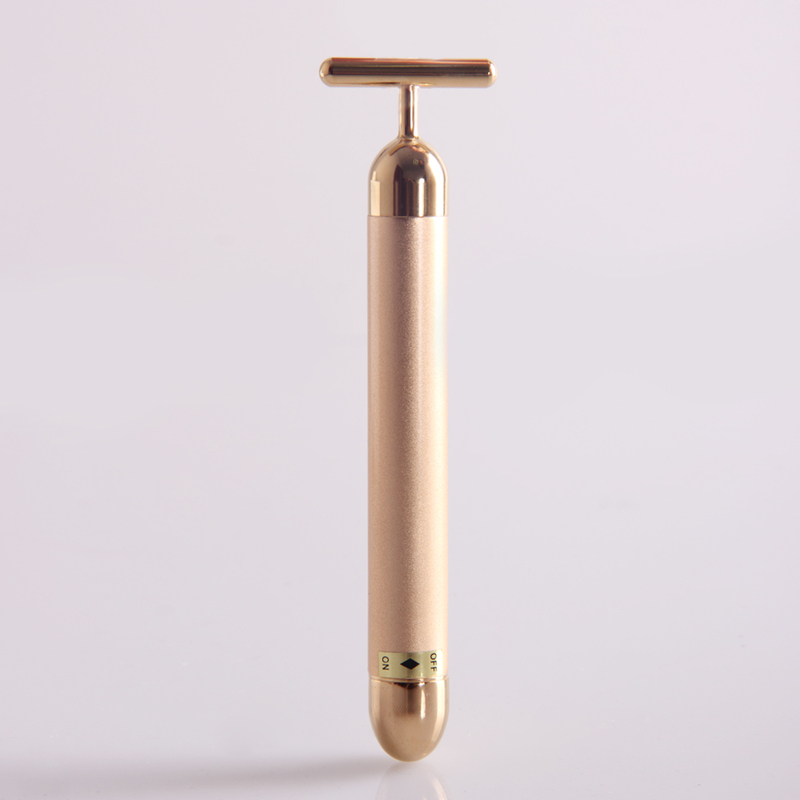 Material: Brass and aluminum (T Barr head part is solid gold special surface finish). Normalization of the potential of the skin oscillation of pure gold. Beauty skin moist. To the skin moisture and elasticity of vitality to the skin by vibration (massage). Head shape for T, will be added to the micro-vibration behavior of stroke , Press the pot and each part of the skin of the face. It can be used in the bath slowly from waterproof structure. So you can easily carry compact size. - Activate skin to keep moist and elastic through vibration (Massage). - T-Shaped head adds mild vibration to push and patting face skin and therapeutic point. - 6000 rotations per minute with vibration. - Can use in bathroom with waterproof structure. - Free to carry with compact size.